Coolest greeting ever: Lions greet each other by rubbing heads. Family life: Social creatures, lions live in prides of about 15 with the lionesses usually all related (mothers, daughters, and sisters) as well as the cubs (brothers, sisters and cousins). Each pride generally has no more than two adult males. That’s loud: A lion’s roar can be heard up to five miles away. A man’s world: Male lions defend the pride and its territory. Females do the majority of the hunting … but the males always eat first. Nappers: Lions are fond of napping and can snooze up to 20 hours a day. Endangered: Lions are endangered, threatened by habitat loss. 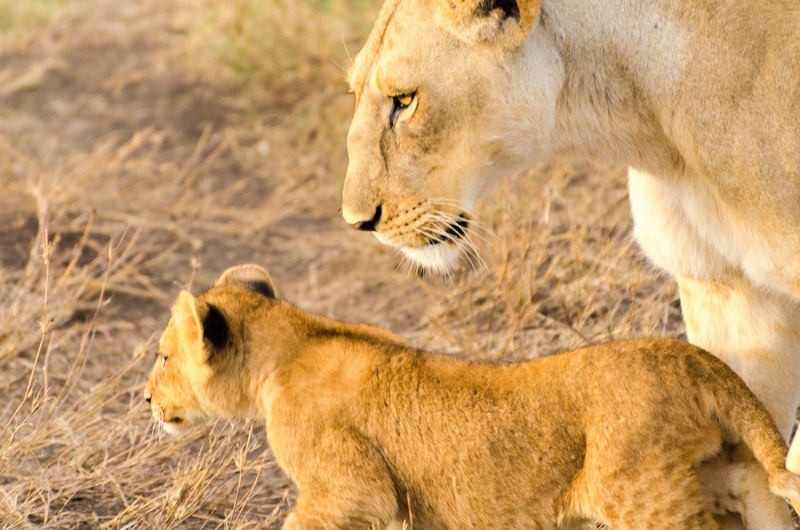 They like to roam –– lions need space –– but it’s running out for them.